Patricia Rincon Dance Collective presents the premiere of “Commence” by San Diego choreographer Erin Tracy, in collaboration with playwright Kristin Idaszak and composer Ryan Welsh. The piece is a meditation focusing on a few things – beginnings of things; our irresistible desire to make meaning of accumulation of things; and the undeniable presence of the passage of time. Salon Dances is inspired by Isadora Duncan’s Salon Dances of the 1900s, a time when patrons would gather in their salons to watch dance performances. There is a unique intimacy and simplicity that these low-tech, close-up dance performances offer. Each will also have a talk-back session afterwards with the dancers and choreographer, so stick around. Patricia Rincon Dance Collective, known for its adventurous programming, celebrates 33 years of innovative programming this year presenting their second season of the “Salon Dances” series in Encinitas. • TICKETS: At the door (suggested donation: $10, though pay what you can). This project is funded in part by the City of Encinitas and the Mizel Family Foundation Community Grant Program. Patricia has performed, directed, choreographed and participated in annual workshops and performances in Mexico, Argentina, Europe, and California. As Artistic Director of Patricia Rincon Dance Collective she has continued developing the popular annual Blurred Borders Dance Festival and the Myth Project: American Dream dance-theatre series, set in San Diego each year. The company completed a performance tour to Buenos Aires, Argentina in 2012, and in 2013 is invited to perform in the TANZINOLTEN Dance Festival in Switzerland, as well as other performances in Zurich, Switzerland and Konstanz Germany. Ms. Rincon also continues to develop numerous dance film projects. She has been awarded numerous UCSD research grants for research and development on the documentary series Latino Now: Landscape of Desire, about the American Dream and the immigration debate, filmed in Mexico, Argentina and California, which was screened in Buenos Aries, San Miguel de Allende, Mexico, and San Diego at the San Diego Repertory Theatre production of Tortilla Curtain. Patricia’s video-film Waiting has been selected into various film festivals, including the 15th annual San Diego Latino Film Festival in March 2010. She has just returned from San Miguel de Allende, Mexico where she was doing additional film research for The Myth Project series. Each summer for the past 30 years Ms. Rincon is invited to annual artist-in-residences at the Universities of Heidelberg, Frankfurt, Mannheim, and in Konstanz, Germany. She also taught for many years at the Universities of Zurich, Bern, and Lugano in Switzerland, and in 2011 she was an artist-in-residency, along with her company, at the well-known IUNA Instituto Universitario Nacional de Arte in Buenos Aries, Argentina. Ms. Rincon is currently Head of Dance at the UCSD Department of Theatre and Dance. This year marks the 32-year anniversary of the Patricia Rincon Dance Collective. Natalia is a choreographer, video artist, social media manager, outreach coordinator and performer with the Patricia Rincon Dance Collective. She has performed, taught and choreographed in Cuba, Europe, Mexico and California. Her recent choreographic works include Connected, Traces of Water and White Dreams. She has performed with PRDC since 2006 and recently completed a performance tour in Europe with PRDC in November 2013. Her video projection design collaborations with Patricia Rincon include BODYPARTS, Protest, Peeled and The Myth Project V: Cowboys. She co-produced the documentary dance film Latino Now: Landscape of Desire with Patricia Rincon, a film about the American Dream and the immigration debate, which was screened in Buenos Aries, San Miguel de Allende, Mexico, and in San Diego at the San Diego Repertory Theatre production of Tortilla Curtain. Valerdi has also collaborated as projection designer with UK choreographer Yolande Snaith’s One Hundred Feet, and with choreographer Alicia Rincon. She has performed locally with Jean Isaacs, Allyson Green, Yolande Snaith and Loretta Livingston (Los Angeles). Valerdi is founder and performer with the Mid-Air-Trio, an improvisational “jazz” trio with visual artist Anna Stump and musician Joyce Rooks, which has participated in happenings in Los Angeles and San Diego, including Autumn Lights LA (2010 and 2012). Valerdi received her M.F.A. in Dance and Technology from the University of California, Irvine. She is currently a lecturer at the University of California, San Diego, San Diego City College and Southwestern College, and works with inner-city youth through the professional development organization Collaborations: Teachers and Artists. ERIN TRACY is a choreographer and director obsessed with movement and language. She has created original dance theatre in New York City and Tampa for Catch! Performance Series, Little Theatre, Fertile Ground, Movement Research, Four Days of Dance, Gasparilla Arts Festival, FIVE by FIVE, and Florida Dance Festival. She has performed at venues in New York such as PS 122, The Ontological Theatre at St Marks Church, BAX, Galapagos, and Dixon Place. Currently, Erin is a first-year MFA student in Dance Theatre at UCSD. She received her BFA from New York University’s Experimental Theatre Wing where she won the award for Outstanding Achievement. Additionally, she has trained with SITI Company, Chicago-based performance group Goat Island, Movement Research, and Dance New Amsterdam. Prior to attending UCSD, Erin was the Artistic Director of Spec Performance, a dance theatre company in Tampa Bay with a performance series dedicated to the development of new work. She was the recipient of a 2013 Individual Artist Grant from Hillsborough County for her evening-length work Verbo. 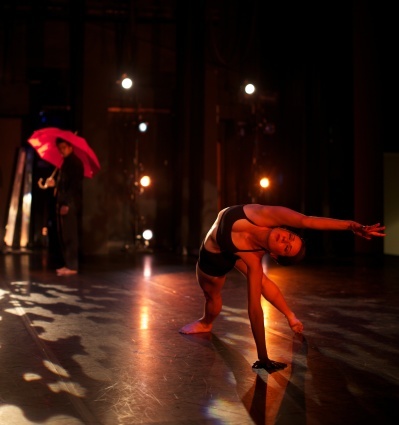 She also created Foreign / Familiar Cities, a dance film and live performance hybrid as part of GenYes! an arts incubator program subsidized by the Doris Duke Charitable Foundation. Most recently, she choreographed, directed, and performed in the third thing, a collaborative process piece shown at UCSD.